Even though Dahlia is not the main focus in this photo I love it for how much of her personality it shows. Dahlia is a "fun police" dog. 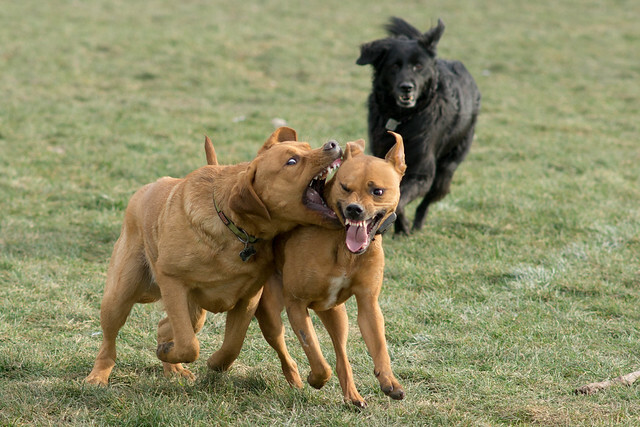 When other dogs get into wrestling or playing bitey face, Dahlia runs up behind them barking and tries to split them apart. Here she is chasing Ruskin and Gracie, who were having a great rousing game of body slamming bitey face.